The Google +1 button acts in a similar way to the Facebook ‘Like” button. However, the Google +1 button has more far reaching effects and is likely, in the long run, to impact heavily on the effectiveness of your small business marketing. The Google +1 button is not just a ploy to challenge Facebook’s ascendancy in social media, it represents a fundamental paradigm shift for Google – from content to people, from page rank to people rank. Google has for a long time ‘branded’ you (given you a ‘value’ ) based on your online content and your connections. 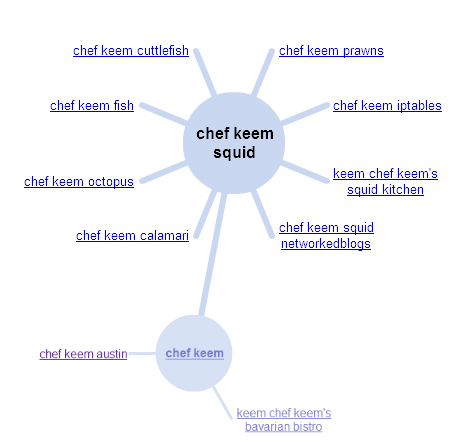 Google has recognised that Chef Keem is a leading Squidoo Lensmaster (Giant Squid), that he lives in Austin, Texas and that he shares numerous recipes on his website and on Squidoo as well as via his videos, articles and blog posts. Google even recognized that at the time this Wonder Wheel was created, Chef Keem was establishing a new Bavarian Bistro (see the bottom link on the right of the image). If you ever want to see how to create an effective personal branding campaign, then visit Chef Keem’s Kitchen. The reality is that Google is moving more and more to giving you and your business a “value” based on how your content is viewed by others and the extent of your associations on the Web. Google has even built up a knowledge bank about you based on your online social connections, e.g. people you are connected to on Google+, Google Reader or Google Talk. If I use your cursor to hover over the individual names you will see how each of the people who +1’d the site are connected to you (in this case each is connected to me via my Google Plus Circles). So the more people you connect with via Google Plus and the more you +1 Web content, then the more visibility you will gain in relation to what you value of the Web. Also if other people reciprocate and +1 your content, you will appear in more and more search results for people you are connected with on the Web. So the +1 button has a spiralling effect if you continue to build your social connections through Google Plus and if you +1 the content of others. Your Google +1’s are available to you as a stream on your Google Plus profile. The default setting for this is that this list of your +1’s is private. However, you can make it public on your Google Plus profile by changing the settings. If you are reasonably advanced technically, go for option 1 above. However, using a WordPress plugin gives you greater flexibilty and it may be easier for you to install a WordPress plugin. 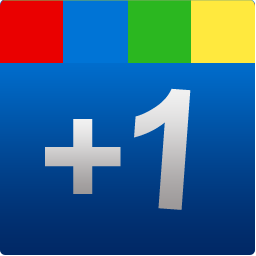 You can see this Google+1 button plugin operating on this blog, Small Business Odyssey. The plugin offers different ways to customise the Google +1 button, including adding the button before or after posts or in both positions. You can also add a count of how often the +1 button is used for your website, page or post. In the final analysis, the Google +1 button gives you the opprotunity to increase your visibilty and to enhance your small business marketing online.